Nelson and Colne College’s GCSE team is celebrating an ‘off the chart’ leap in improvement in resit pass rates. A stunning 74% of students resitting GCSE Maths gained at least a grade 4 – a 47 percentage point improvement – while 54% of students resitting GCSE English Language achieved at least a grade 4. Former Pendle Vale College student Sanaa Mahmood, 19, from Nelson, was just one of the students passing GCSE Maths and was resitting it to enable her progression on to university. She said: “I feel very happy and proud of myself for achieving my Maths grade because I needed this to progress in the future. My next step is to finish my Level 3 Health and Social Work Professions course, and after that I would like to go to university to study Child Nursing. Fardin Ahmed, formerly of Sir John Thursby Community College in Burnley, achieved a grade 8 in English Language having asked to resit his exam in order to support his future aspirations. Fardin, 17, said: “I got a grade 7 in my English Literature at secondary school but only a grade 5 in my English Language. I needed a grade 8 because I want to study Medicine in the future. “I really got my head down and worked hard and I think a big factor in that was my teacher – I really enjoyed the classes and the one-to-one support I received was very good. The teachers here are great and do their best to ensure students achieve and get the grades they need. Principal of Nelson and Colne College Amanda Melton said: “The GCSE resit results this year at Nelson and Colne College are off the chart and I’m thrilled to see such outstanding progress in this department. “Our GCSE teaching team is exceptional with considerable experience and excellent curriculum knowledge. Their commitment and dedication in ensuring all students were very well prepared for their exams has been the foundation of this success. 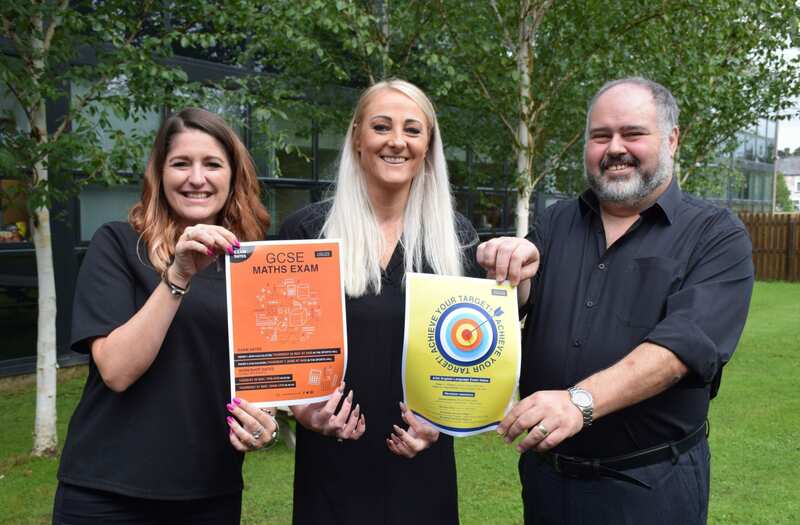 Nelson and Colne College is the number one college in the country for Maths and third nationally for English at Level 2, based on progress scores. The college is top in the country for 16-18 learner achievement at all levels, number one in the country for A Levels, based on progress scores, and the number one college in the country for overall Apprenticeship achievement at all ages and levels.